If you haven't been already then go; if you have been, then go again! 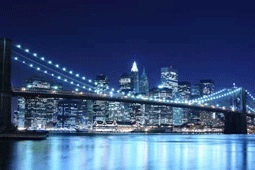 An amazing city, New York lives up to its reputation as one of the most cosmopolitain cities on the planet. There's so much to see and do in New York that it's hard to list even the obvious. Take a trip up of the Empire State Building and experience the incredible views from the top; visit the Statue of Liberty; while away the hours in Central Park. See Madison Square Gardens, the Rockefeller Centre, Carnegie Hall; visit Times Square, the Village, SoHo, 5th Avenue, St. Patrick's Cathedral. 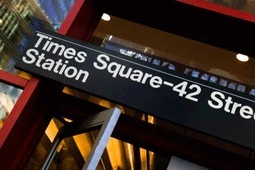 Go to a show on Broadway, shop till you drop in Macys or Bloomingdales. New York - if it's not available here, it's not available anywhere! While the city is awash with fantastic restaurants and diners, here's a few that we found particularly good. Houstons Restaurant, 378 Park Avenue South, New York 10010; (located on Park Avenue between 26th and 27th Street.) The food is traditional American, the service prompt and courteous and the bill very reasonable. Home Restaurant, 20 Cornelia Street (between Bleeker Street and 6th Avenue) in Greenwich Village. A small restaurant, but very homely (hence the name), the food is to die for! They sell their secrets in their own Home Recipie book. The tradition in New York, when having a few pints, is you tip the barman every time you buy a drink - he then buys the fourth round for you! So it's kinda buy three, get one free. Again, it's difficult to say which bars are best as there are just so many of them! Here's our recommendations. For a taste of Ireland we'd suggest you visit Paddy Reilly's Bar on 2nd Avenue on the corner of 28th Street. They have Guinness on tap and plenty of Irish music and while it's a bit small, it's great craic. Even when things are full price in New York it's still great value - watch out for the sales, though, you could get 50%, 60% or 70% off the listed price! 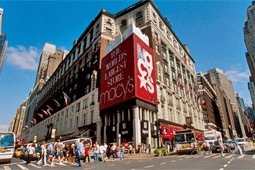 For the best in department stores visit Bloomingdales or Macys. 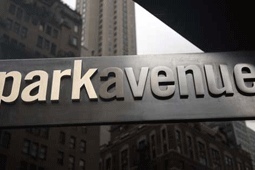 For designer gear head for Saks, Fifth Avenue. Head down 5th Avenue towards SoHo in a taxi and look out the window - you'll pass everything from Banana Republic to GAP to Barneys to Century 21 to Nine West and Foot. The list is endless and the shopping is fantastic! For something off the wall head down to the SoHo area and the Village - it's where everything alternative is on offer from clothes to shoes to food. Church.....St. Patricks Cathedral on 5th Avenue. 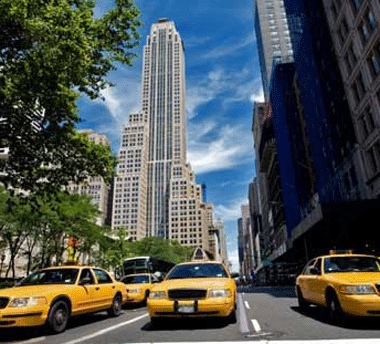 Irrespective of which airport you fly into, the handiest way to get into Manhattan is by taxi. There was a time when you were charged whatever your driver decided, however, this practice has been stopped. The price of getting from the airport into the city centre is displayed, by law, in all taxis.